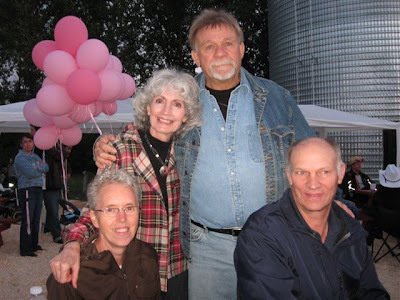 • Writers write: Just to clarify something other than the butter, when I announced last week that it was an anniversary edition, I was referring to the one year mark for The Garden Report. Some of you sent in congratulations assuming it was for Maureen and myself. However, if you wish to send anniversary gifts or money, that is okay regardless of misassumptions. Now to the garden: Lush beyond belief, that is how I would describe my garden this year. Not a lot of sunshine which encouraged the plants to reach. Add in the cool weather, and the blooms are lasting twice their normal span. The flowering crabs, both pink and white are gracing the city with a show that has never been seen before. It is a bizarre year. Welcome to the garden world and expect nothing to stay the same. • Joanne Crofford had this interesting comment about growing older. “The more conscious I get of my own aging and the more I enter the world of aging and the life and care options, through the eyes of my 95 year old mother, I realize the importance of pensions and housing as well as human rights, and basic safety as a important social and political issues.” Well said. ﻿ • Dave Rotelick sent along the photo of the lamium. He wanted to know if it is a weed? Lamium is a lovely perennial that grows in the sun and the shade. It is used as a groundcover and sometimes as a hanging plant in a basket. It is easy to grow. I have lots growing in my yard. There are several varieties available. 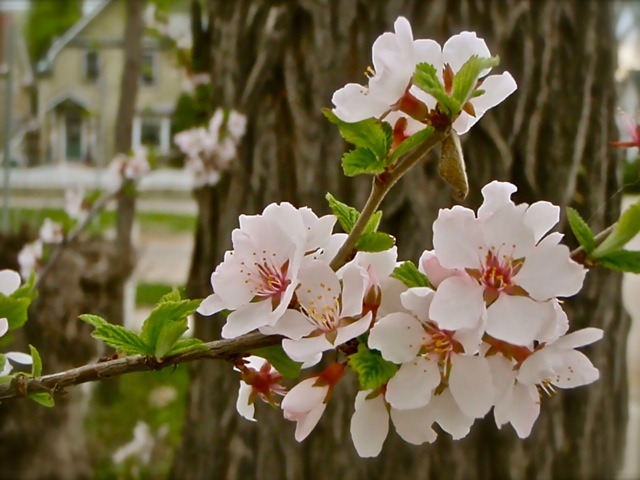 • Ninth Street Bed and Breakfast in Saskatoon sent along the photo of the cherry blossom. It is in all probability, a Nanking Cherry. Lola said it made her day to walk by this shrub. I enjoy hearing when readers enjoy the simple things in life. Is this lawn real or artificial? • Mike Liske from The Classic Landscape Company wants you to guess if the lawn is real or is it artificial. • Manna from heaven: (This is a repeat story from an earlier Garden Report or as they say in television land, ‘an encore performance’). When I was six years old, living at the corner of Dewdney and Rae, The Dad’s Cookie factory was two doors down from our house. One summer’s day, the truck from the factory was starting it’s delivery route. As it exited the alley, it hit a bump, the back door flew open and a case of Goodie Rings fell off the truck. Myself and two friends were playing and we witnessed the event. We scooped up the box of cookies and quickly retreated into our garage. We knew that the right thing to do was to return them to the factory or at the very least, tell my mom, but we were six and these were Goodie Rings. We knew that God would forgive us this transgression. We set to our task, each boy opening one package of cookies and consuming it himself. As it was a hot summer’s day, it was not long before nausea set in and…I think you know how this story ends, and to be certain, it did not end well. ﻿ • Garden Tip: With all of the cool weather and the rain, some of your plants may be showing symptoms of iron chlorosis. The main symptom is when the leaves are slightly yellow with the green skeleton of the veins showing through. Try to reduce the water levels, if that is possible, and add in some iron chelate. Iron chelate usually improves the leaf within seven to ten days. Roses, plums, cherries, Mountain Ash and maples are very susceptible to chlorosis. • Billets for The Fringe: If you have a spare room and are willing to billet a starving actor, The Regina Fringe would love to hear from you. Billets are required for July 4th to the 11th and the festival is staged from the 6th to the 10th. If you can assist, contact Jodi Sadowsky at jsadowsky@hotmail.com. Performers will be arriving from England, New York, Edmonton, Ottawa, Calgary and so on. • Fringe humor: Amongst Fringe performers, there is a joke that flows like this: If I don’t start making some money soon, I will be forced to wear a sign that reads ‘Will act weird for food’. • Mosaic: We got out for a bit of Mosaic adventure and it was wonderful to bump into a number of the readers of The Garden Report. We were kind of hungry on Friday night and decided to give The Latin American Pavilion a try. After all, we do love flavor and that should have been a good choice. Unfortunately, they are not well organized in their set up and just to get your meal, required a number of hoop jumps. All of the flavors were toned down. Not much in the way of spice or heat and all of food items were served just above room temperature. Very disappointing. The dancing and cultural events were a different story. Very enjoyable, lots of youthful enthusiasm. Over at The Francophone Pavilion, it is always well organized. The food line flows. We listened to three musical groups and the talent was absolutely incredible. One other note: We always enjoy The Francophone Pavilion because it is never a wild party pavilion. You don’t have to put up with hundreds of drunks as you do at other pavilions. Kudos to their efforts. • First dates: One of the enjoyable aspects of Mosaic, is that you often share your table with strangers who you quickly become ‘Mosaic friends’ with. At The Latin American Pavilion, we shared a table with a couple who were our age. Both Maureen and I quickly realized that this was either a first or a second date for the couple. How could we tell? She said “did I tell you what happened at work today?” And he listened to every detail she spoke, with absolute devotion and fascination. Definitely a first date. • Not a first date: Later on that evening, I turned to Maureen and said in mock seriousness, “So tell me about everything that happened in your day?” Both of us burst into laughter over that one. For our younger readers who do not comprehend, let me explain: Men are not good listeners as a rule. And the longer a relationship exists, the less the man listens, unless it involves, beer, pizza or the hockey game. Then you have his undivided attention. This explains why women often ask “what did I just say?” and they receive a blank stare in return. • Great line: One of our readers has spent most of her life in a wheelchair. She joined our table at Mosaic for a visit. She wise cracked to the couple seated with us “I didn’t like the seating arrangements here so I brought my own chair.” Too funny. • Mosaic II: Saturday night we just had to get over to The Scottish Pavilion before they sent out a search party for me. I showed up in my finest Kerr tartan tie (my mother’s clan, south of Glasgow). Besides hearing some great pipe bands, I managed to make peace with the Mackenzie clan. We are now united in a war against the Campbell’s, just to let you know, in case you are keeping track. A note to potential trouble makers: At the Scottish Pavilion, the bouncers are so muscle bound that if you hit them with a baseball bat, you will only serve to aggravate them. From there we moved over to The Italian Pavilion so Maureen could grab some tiramisu for desert. The girl likes her deserts. Nothing much was happening there in terms of entertainment so off to The Irish Pavilion we went. Usually we avoid the place because the bottom line is, I am way too old to brawl. Good news. They have that under control and while the place was packed, it was a good time and no hint of trouble. The entertainment performed by the bands, the dancers and the singers was first rate. According to Maureen, they had a decent selection of jewelry at the Irish booth and she purchased a pair of earrings. For some unknown reason, I was indifferent to this purchase. She is now suggesting that she really needs a gay male friend to go shopping with her. I am not certain, but I don’t think it is a paid position. Also heard good things from friends about The Brazilian Pavilion, but we never made it there. • Blooming this week: Every crab and apple in the city as well as many lilacs. Most of the lilacs in bloom are the French cultivars and the common lilacs. How you tell the early lilacs from the later ones such as the Villosa Lilac, is the leaves on the early lilacs tend to be smooth and shiny. The later lilacs tend to have rougher and duller leaves. Bergenias are blooming all over the city. These are a perennial with a larger, green leaf. 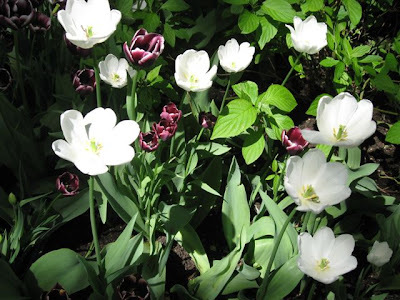 The flower appears at the end of a stem that is usually twelve to fifteen inches above the leaves. The flower is normally in a pink, mauve or purple range. Trollius are blooming as well. Many people will tell you that trollius are not hardy here but I have had no problems growing them for fifteen years. They take next to no work and they bloom early, which is a feature I enjoy. I saw some gorgeous bleeding hearts in bloom, as I drove down College Avenue. 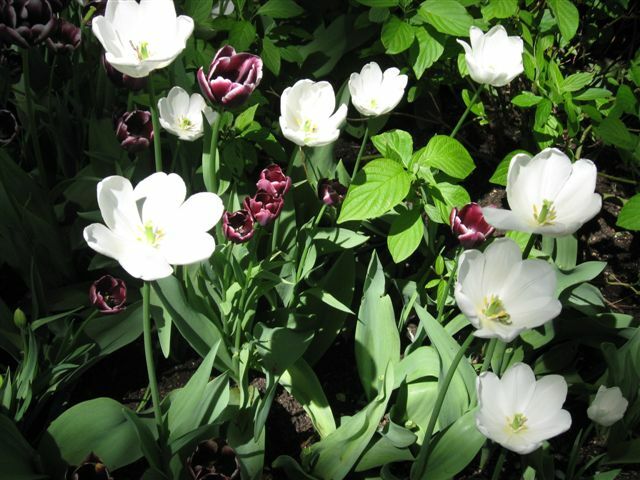 These perennials grow around two to three feet tall, and usually have pink blooms. There is also a white version, but finding it for sale can often be a challenge. • Garden Tip: One of the advantages of container gardening is that you can always have your best foot forward. With containers, a gardener can grow an arrangement in a low profile location and when it is has reached its peak, it can be brought forward to be shown off. • Whose fault: Every year I hear stories from certain gardeners, complaining that all the plants they bought from XYZ Garden Center died. I also hear from my friends in the trade about landscaping customers calling up to demand warranty, because half of their plants have perished. Here is the reality. Last year, I did a landscaping job for a wonderful family, at a ranch south of the city. 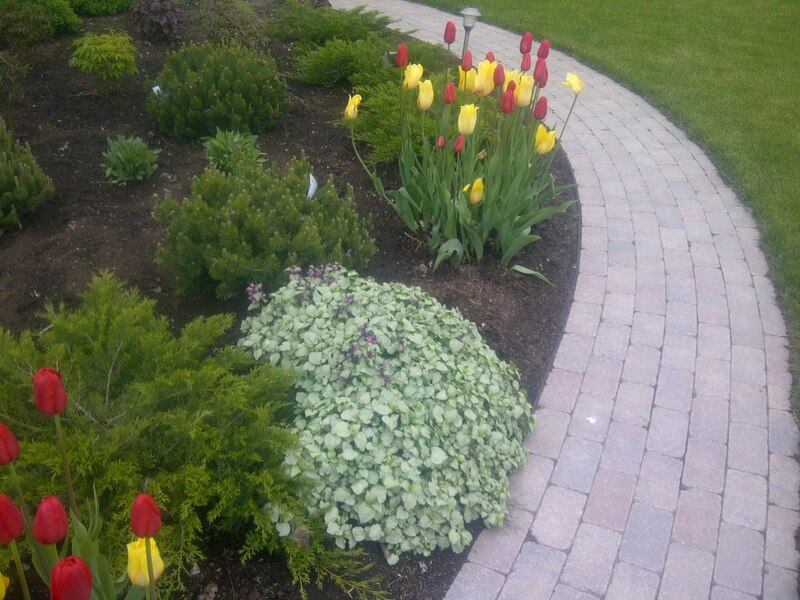 We planted hundreds of trees and shrubs and we filled up the spaces with hundreds of perennials. The family hired a woman to tend to the plantings with my occasional assistance. We went through a full winter with a very wet and cold spring. Our total losses accounted for around one per cent of what we planted and that included a few shrubs eaten by voles. We lost no trees. Was it magic or good luck? How about this: The plants were looked after properly. They were watered as required, fertilized as required, and pruned as required. The point of the story is that yes, it does help if you purchase good plants from reputable retailers. But equally important, is the care they receive. The best plants in the world will not survive neglect. As I have written before, I lose plants just as any gardener does. Sometimes for apparent reason and sometimes I cannot explain why it happened, but it does. When it happens regularly and is widespread, there is usually a maintenance problem. • Mediterranean Bistro: We have tried twice before to visit this establishment, but it did not pan out. Our third attempt brought success. There were a few glitches but everything was worked out by the staff. Upon arrival, Maureen’s water glass was served with a lip mark on it. The waitress fixed that one right away. They have a wide menu, but are known for their seafood, so I headed to the fish choices. I chose the halibut but discovered that they offer only three choices each day, to keep everything fresh. Not a problem. Good idea. I ordered the cod and it was well cooked, the fries were very tasty and the veggies were good, but rationed sparingly. The tartar sauce on top of the cod was quite salty, so I moved that to one side and I asked for lemon slices and vinegar, which were brought to me right away. Maureen ordered the bouillabaisse which arrived with a wonderful assortment of seafood, but very little broth. She asked why there was the absence of broth and the waitress brought a cup of steaming broth to the table. I sampled a taste of the broth, and it was filled with flavor. Also of note, within the bread basket presented prior to the meal, they had a lemon butter that was very tasty. Both staff members were very personable. Dinner for two, no drinks, no appetizers or desert, tip included, came to $57.00. I don’t hand out stars, instead I always ask, would I return? The answer is yes. • Thanks for reading…Rod McDonald in cool and rainy Regina.